Owners like to use a contract delivery method called “Design Build” when they don’t know what the heck they are building, don’t want to take the time to design it before bidding it out, or have a site with too many unknown conditions. Since they don’t know these things they put a fig leaf of protection against unlimited costs called a “Guaranteed Maximum Price” or GMP. Even in commercial or industrial construction, supposedly knowledgeable in cost controls and with fewer unknowns, GMP contracts are a challenge to administer, because the assumptions the contractor gives in quoting a GMP generally last only days or weeks. Owners would be better off with a pure cost-plus contract with great controls, but the owner’s internal politics command at least a fiction of a fixed price. Imagine trying to catch a butterfly in a windstorm – that is how elusive the “guarantee” becomes. The City of Augusta, Georgia loves to squander money using GMP contracts, having thoroughly embarrassed itself with the things. Augusta built a $30 million Convention Center across land the city didn’t own and then had to pay for it with Kitchen Equipment added by change order to a “guaranteed” price, spent about $50 million on a Municipal Building Remodeling that was supposed to cost $20 million mostly covered by another GMP contract, and built houses in the Laney Walker district with maximum-price, not to exceed contracts that never were adjusted to actual cost. 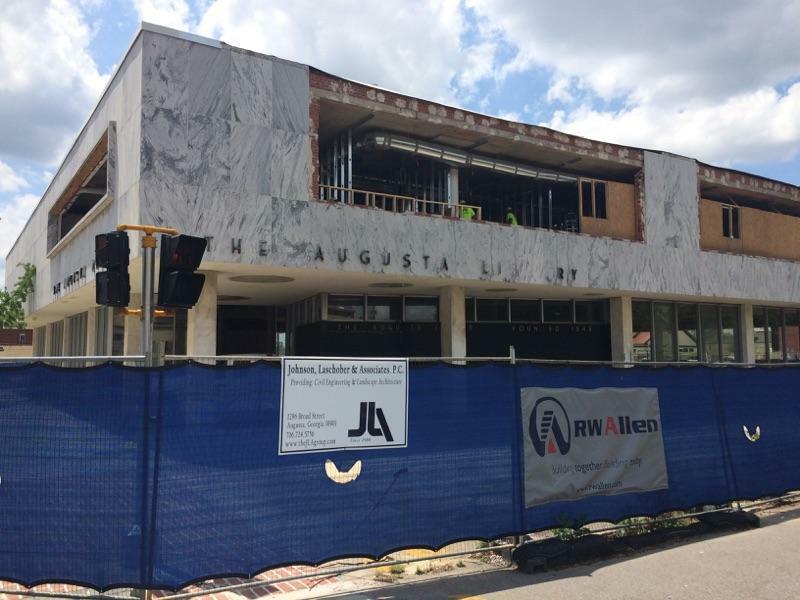 There were only three finalists selected by Augusta for the Old Green Street Library remodeling, and two of the three had “Allen” in their name. The low bidder who didn’t have “Allen” in its name and who bid on the whole project in its bid, with a Guaranteed Price for all of the work, somehow didn’t get the award. RW Allen, LLC was awarded the work on a piecemeal basis, destroying any figment of a guarantee in this writer’s estimation. John Allen, nephew and contributor to Congressman Richard W. Allen, is a principal in the Allen-Batchelor firm, which was also on the finalist listing. It must be nice to be R.W. Allen LLC and to have Augusta push you into a yet another money pit where nothing is guaranteed but more profits.